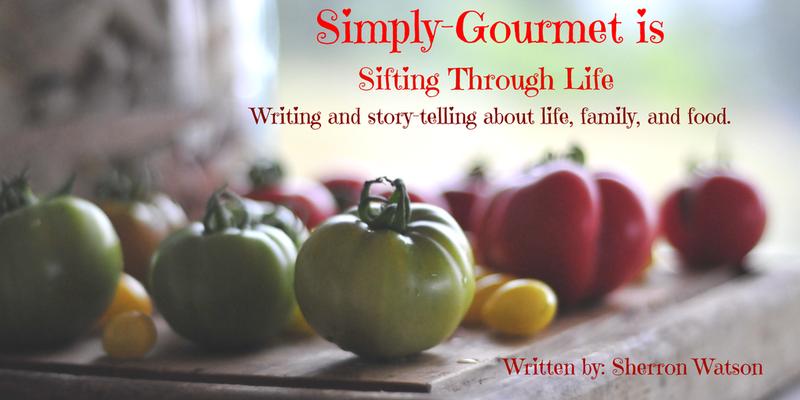 I try to recreate recipes for dishes, sides or condiments that I cannot have anymore. This is one such recipe. I miss Blue Cheese. It's true. I don't sneak or even attempt to convince myself that I can eat it anymore. I used to. Then I would pay the price and be sick for a week. Age and experience has a way of making your mind listen when your taste buds say it's okay to sneak or cheat. I make all of our salad dressings. 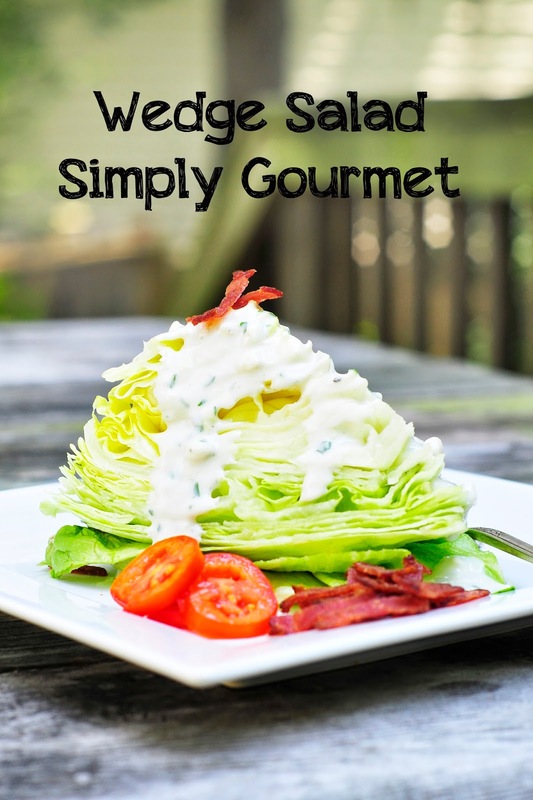 I wanted a creamy version of something that I could enjoy with some basic salads like this wedge salad. I like wedge salads. 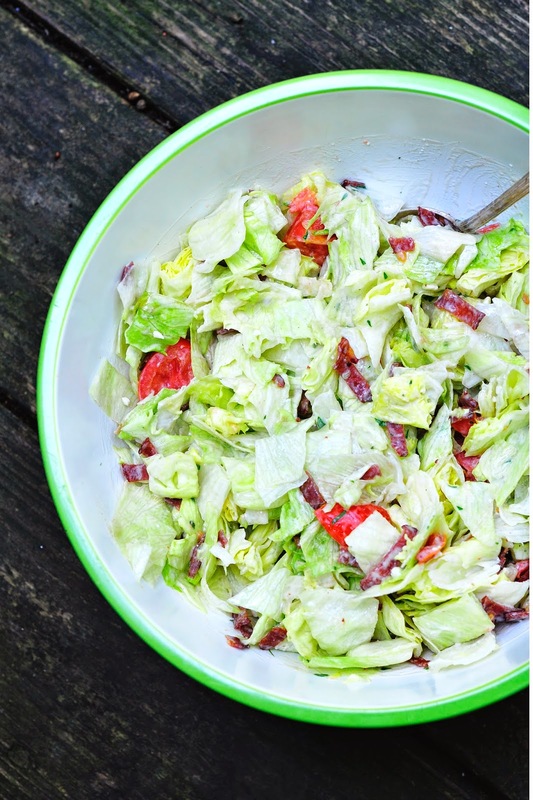 I like the combination of bacon, tomato and bright crisp green lettuce. This salad dressing is an attempt to recreate a recipe I enjoy with a similar flavor profile. Now lets be honest: Blue Cheese is strong. It has a distinct flavor. It carry's it's own weight in any recipe. So no this will not taste anything like Blue Cheese dressing unless you add the Blue Cheese. 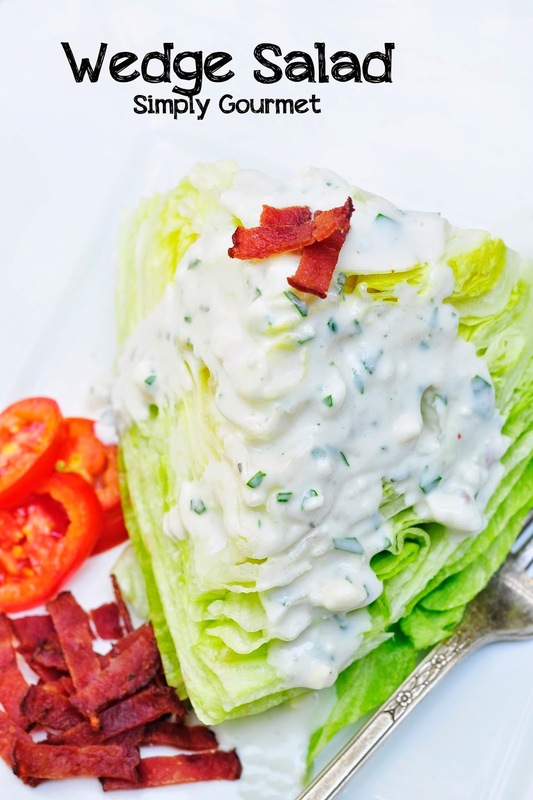 It does have a creamy herb texture and I feel that if this is how I need to eat a wedge salad to feel like I am experiencing something that I have missed, then this is the recipe I will be using from here on out. The pictures that are posted do include the Blue Cheese because my family has no issue with this cheese. It is just me with the food issues. I keep a small amount of the dressing for myself and make the rest the way they like it. This is how my family functions while living with my food triggers and intolerances. I try my best to allow them to eat as "normal" and "healthy" as possible but sometimes they want the real deal. Well, with this recipe they get a dairy free base and a snippet of Blue Cheese. They couldn't tell the difference until I told them. My kids will never let me live down the fact that I use coconut milk for almost everything. It is probably true but when you have food issues you use what you have to. 1. Combine all dressing ingredients in a small bowl. Whisk together until blended. 2. Cut head of lettuce into four quarters. Place on a side salad plate. Sprinkle with bacon pieces and diced tomatoes. Add salad dressing. 3. Serve cold and store leftovers in the refrigerator. After the photo shoot I chopped all of the salads and threw them into one big bowl.